SCVHistory.com | Canyon Country | Sand Canyon Plaza: 15 Years in the Making, SCVNews 1-23-2015. Sand Canyon Plaza: 15 Years in the Making. SCVNews.com | January 23, 2015. Big changes could soon be coming to Canyon Country as a proposed new development would have residents saying goodbye to mobile homes and hello to hundreds of new homes and a hotel. 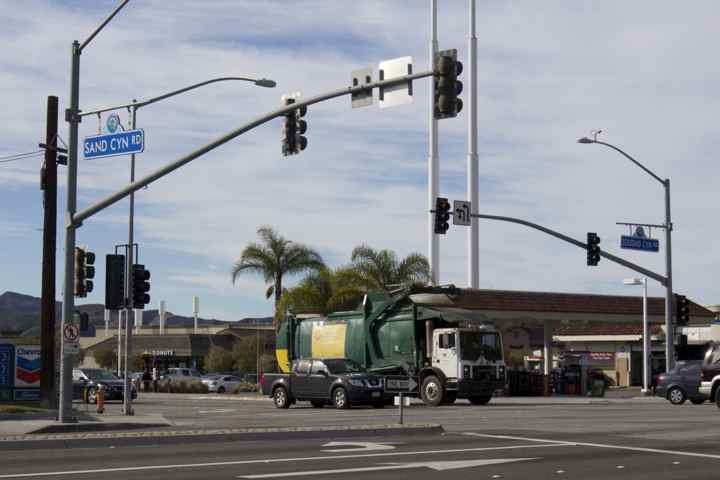 The Santa Clarita City Council approved a contract that will allow preparation of environmental documents for a proposed mixed-use project at the intersection of Soledad Canyon Road and Sand Canyon Road. Mobile homes currently sit on part of the property. The city awarded Tebo Environmental Consulting $140,765 plus a 10 percent contingency for a total of $154,841.50, according to the City Council agenda reporrt. Development plans call for 580 residential units and 116,000 square feet of commercial development. The project includes new entitlements to create lots for commercial, residential and infrastructure uses, a hillside development review permit, a ridgeline alteration permit, a conditional use permit, a minor use permit and an oak tree permit, according to the agenda report. “There was a project previously approved in 2002 that went through the Planning Commission, EIR report and City Council, but the entitlements on that project have expired,” City Manager Ken Striplin said. The project approved in 2002 was made up of two separate parcels, one of 50 acres and one of 30 acres, under two separate ownerships. 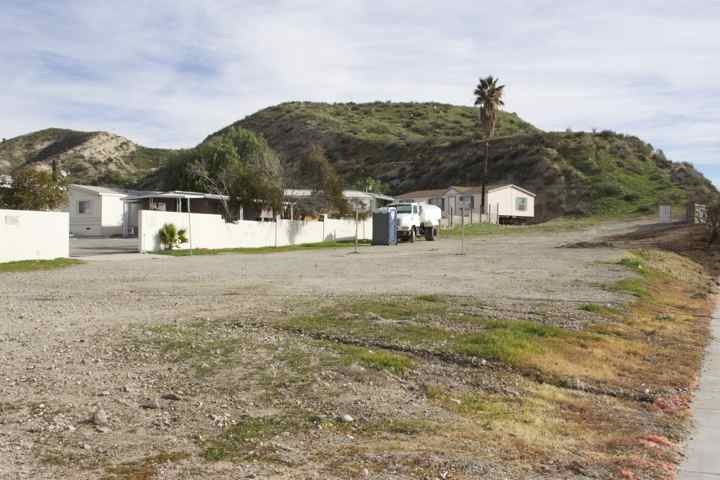 "Because the two projects were not together, it was not the greatest plan, but it still got approved" said developer Tom Clark, managing member of Sand Canyon Plaza and Canyon Breeze Mobile Home Park. "We went around and worked out arrangements with the mobile home owners, but then the Great Recession happened and the world stopped and we stopped." 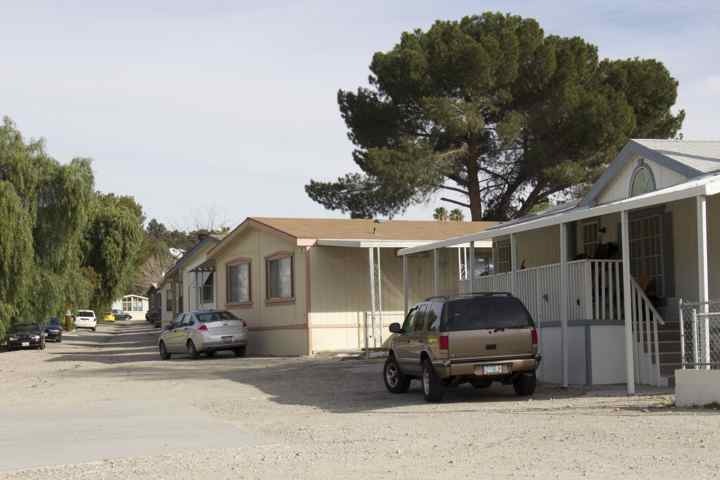 At the time, residents of the Canyon Breeze Mobile Home Park were working with Clark to find a new place to live. Clark had to move mobile homes back onto the property after the recession hit and is now renting on a month-to-month basis to all 130 homeowners, except for 16 mobile homes that never left. Now that the market has improved, the project is starting over and the development company is reapplying for the necessary surveys and permits. "The biggest difference between the old project and the new project is the merging of the two projects into one. It allowed us to look at the whole 80 acres and make a plan that didn't have to break itself into pieces," Clark said. "We were able to take control of the whole property with one developer and sat down to work with the city in planning and proposed the new plan that we have now." As planned, the 580 residential units will consist of 148 single-family homes, 120 condominiums and 312 apartments. The commercial development will include a hotel and three major restaurants centered around a man-made lake with indoor and outdoor seating, shopping and coffee shops. "Canyon Country residents have always asked about where the nice restaurants are, so we are not doing your typical 'grocery store, gas station and bank' shopping center," said Clark. "We want this to be more centered around restaurants and a nice place to hang out and drink your morning coffee." The project does not have an official name yet; for now, it's going by Sand Canyon Plaza LLC. If the project is fully approved by year's end, it could be completed in 2017. "When the city and the county did (One Valley, One Vision), they reviewed all the properties, and on our property they changed the zoning to mixed-use residential. We are currently zoned for this intended use," Clark said. "What we are working on now is the EIR and tentative tract map."